No. There are three options, a credit card, or a checking account, or a savings account. For extra precaution and added security, you can choose to open a "play" account of sorts, just for your online buying needs. To do this you don't need a PayPal account, but only an email address. 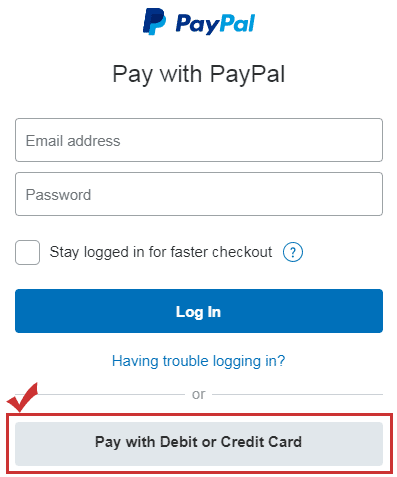 Just go through the payment process on our website and, on the PayPal login screen, click "Pay with Debit or Credit card" or "Don't have a PayPal account?". Your Credit Card information will remain secure and the transfer will be handled only by Paypal.